Get back to nature, nature knows that this is the journey of your soul. Reconnect and rediscover yourself again. An Experience You Will Never Forget Lake & River Kayaking. My whole family what a Life 94 year old grandmother and Mom at 74. 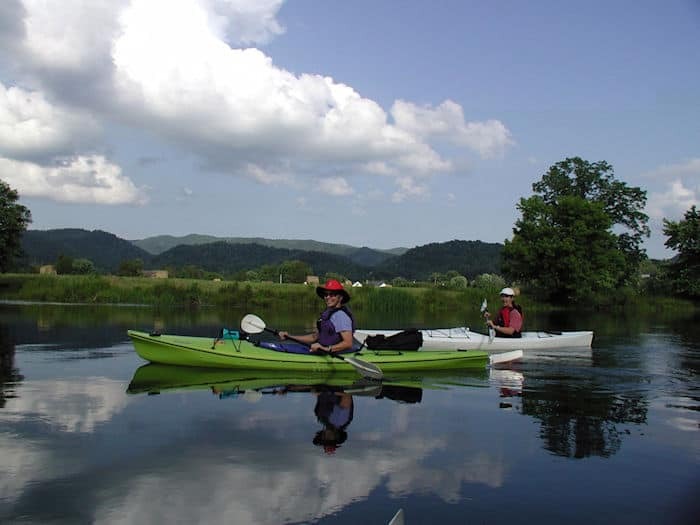 Watauga Kayak has a relaxed teaching style and paddling pace, All tours designed around your interests and abilities where its paddling the river or a scene lake Watauga Kayak as a trip for you. Trips are available seven days a week. We provide the guide, instruction, kayak, paddle, and transportation. Private lessons are also available. We paddle several different locations but Watauga River is in our backyard it is a class I & II+ river great for beginners and advanced paddlers alike. Also Watauga Lake and Wilbur Lake is just minutes away a wonderful playground for paddlers paddle around a beaver lodge, wild flowers, watch for deer, bear, and many other treats. Watauga Kayak is the only outfitter with in 100 miles that will hold your hand every step of the way. We pride our self in showing you our beautiful backyard whether the river or lake we have a trip that's right for you.